A sump pump is a necessary part of keeping your basement dry and preventing water damage. When your sump pump isn’t working like it should, turn to Schuler Plumbing, LLC for help. We provide sump pump service for home and business owners in the Minneapolis NW Metro area. Sometimes, you need a simple sump pump repair. This is often the case if debris is lodged in the pump. 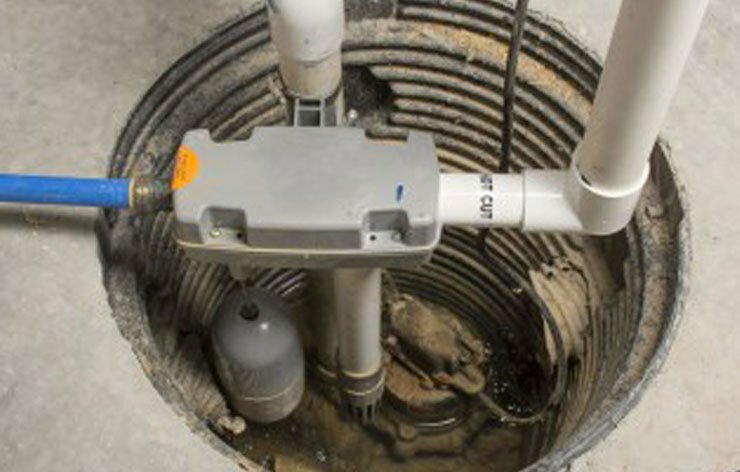 Most of the time, sump pump issues are more efficiently resolved with a replacement. We’ll determine the cause of your problem and decide whether a sump pump repair or replacement is needed. Call us today to get an estimate on sump pump replacement or repair services. Need Sump Pump Repair or Replacement? Since most sump pumps sit inactive through the winter, you probably won’t notice any problems until spring. Get in touch with Schuler Plumbing if you think your sump pump is having issues. Your system is turning on and off, even when it shouldn’t be. It’s is making loud and strange noises. It’s constantly running without turning off. If you’ve noticed any of these issues, you need sump pump service right away. We can also install an alarm that’ll alert you if you have too much water building up in your basement. Reach out to us right away to get your sump pump replaced in the NW Metro area of Minneapolis.